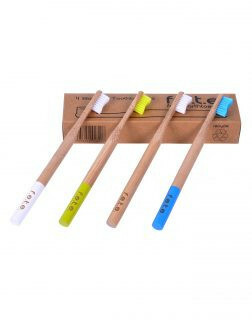 Family pack of four medium bristle, natural bamboo toothbrushes, biodegradable. WHY NYLON BRISTLES? BPA-free, partially biodegradable nylon and effectively cleans. WHY THE PACK OF 4? Brushes should be replaced once a month or after any illness. For a family of 4 this is 1 month supply. For a single person, 4 months! Which means you can really start paying attention to your oral health without the worry of contaminating the environment. WHY MULTI-COLOURS? Everyone loves a little colour! And it makes it easier (in a family) to know whose brush is whose. IT FEELS GOOD! 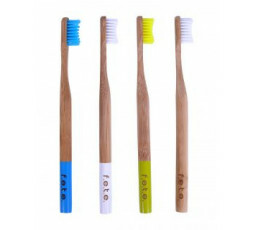 From Earth to Earth brushes are soft and comfortable in your hand as well as in your mouth. You and your children may not want to put them down. 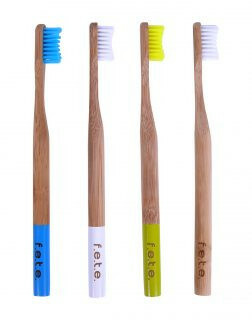 Bamboo has a very nice natural energy about it – in contrast to common plastic brushes.